2019 Trailer Fleet getting a makeover! It’s all about the attention to detail that keeps the Voyager family moving in the right direction. Providing our leased owner operators with safe, reliable and presentable equipment is our business model. When it comes to your equipment breaking down it can cost you everything. Failing to establish a preventative maintenance schedule can cost you your lively hood. Waiting to complete those repairs and allowing them to stack up will increase your odds for a more serious breakdown, can range in severity to requiring months of downtime to just being put out of service during a roadside inspection. Now you have to be reactive and pay out of pocket for towing your equipment to the next qualified shop or having to call for roadside assistance, which we all know is highway robbery. Now Owner Operators are paying twice as much and could essentially cost you every dime you have made for the week or even the month. So now you’re working for free, worrying whether you have the money to cover the repairs. Some companies, like Voyager Nation, Inc. offer a maintenance fund were owner operators voluntarily contribute a percentage of their weekly pay and if that’s the case you may actually be in a better position than most. Other Owner Operators, after paying out their expenses barely have enough to simply put money away into a savings account for that maintenance rainy day. These costs however, can be reduce by simply establishing a regular preventative maintenance schedule. Preventative maintenance and being proactive as required by the FMCSR Part 396 can reduce the cost of maintenance by reducing the needs of emergency breakdowns, identifying current, upcoming issues and correcting them on a time table you have established, thusly, reducing your down time and maintenance costs. Voyager Nation is a forward thinking company that is truly committed to the success of all Owner Operators. We firmly believe communication is key to the success of all true partnerships. So, we listened to the voices of Voyager Nation Owner Operators and provided a much requested savings program. The funds are contractor escrowing for the potential of mechanical failure. Creating a strong foundation that will empower and support the success of others is our mission. We will continue to listen and ensure we create strong pillars that will support the success of all affiliated partners. We present our LIVE Seminar. For the first time! Voyager Nation successfully hosted its first industry informational seminar. Voyager nation is dedicated to the success of every owner operator in the industry. We stand by our belief by offering a free Seminar to all up and coming Owner Operators. Our intention is to coach and address unanswered questions pertaining to what it takes to be a successful owner operator. If you are interested in participating in this event! Please call us to register and reserve your seat. At Voyager growth does not compromise customer service and the focus remains on the Owner Operator who is our most valuable asset. Our dispatchers continue to work hard for you. Many fear that the bigger a company gets the personal/human interaction fades away. Contrary to what some may believe, there is no shortage of freight. With growth comes great possibilities. As our customer base continues to expand. This ensures that our dispatchers have better negotiating power ensuring that we push for the best rates for your business. Voyager Nation, Inc. first priority is the safety of our drivers and those they share the road. Winter weather is already upon us. Drivers need to expect the unexpected and be prepared for anything. Be sure you have slip proof boots/shoes, extra blankets and winter clothing. Every truck should be equipped with chains, flares, flashlight, and triangles. Van drivers should make sure snow is removed from the top of their trailers this could lead to a safety risk for others as heavy snow may fly off. This may require an exterior trailer wash or other snow removal process. At no time are we requiring drivers to climb up and remove the snow themselves. Drivers should only drive if they feel they can do so in a safe manner and not put themselves or others at risk. Remember 3 points of contact when entering and exiting your truck to avoid falling. 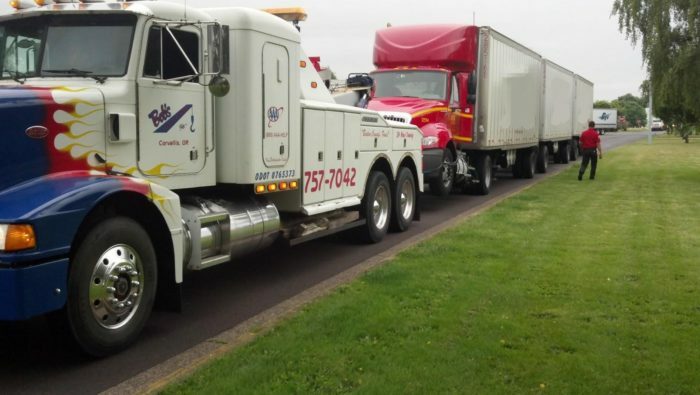 Owner Operators are improving the Bottom Line! Its official, The “TCS” app is out and fully functional for all Voyager Owner Operators to begin saving money. Owner Operators have experienced impressive savings across the board. One voyager alone saved $110 at the pump this week. With Holidays around the corner who can deny these kind of savings, way to save! Here at Voyager we cultivate a team environment and there is always someone to assist – 24/7. However, did you know that every owner operator is assigned to a dedicated dispatcher? At Voyager you are not just a driver or identified by a truck number. Every owner operator receives one on one attention from one of our friendly, professional, skilled dispatcher’s. Our philosophy ensures that the focus is on the drivers’ individual goals. This increases the overall revenue for your business and allows for a higher functioning, results driven outcome. When you succeed, we succeed! Voyager Nation is Expanding once again! Voyager has increased Capacity by 10% organically in the month October. Welcome to the Team Guys! It is with great pleasure that we announce a newly created position of “Driver Manger” that has been introduced to our existing infrastructure. The key function of the position is to serve as a resource for all existing and future Owner Operators. Voyager is a forward thinking company that understands our partnership is key to success. We see the value in being results-driven and having a proactive approach to any and all industry challenges. This role will help emphasize our open door policy and encourage dialog with Owner Operators. We welcome Melissa to the Voyager Team, Melissa has been appointed to the Driver Manager position. Her impressive credentials and relationship building skills will serve her well in her new role. ELD mandate December 2017. Details and how to get yours. The ELD rule is applied to most drivers and motor carriers who are required to prepare and retain a paper version of the RODS to comply with the HOS regulations under 49 CFR 395. According to the ELD mandate, eligible commercial drivers and motor carriers are required to implement ELDs by December 18, 2017 — which is the ELD mandate deadline. How to get an ELD? You are in luck because with Voyager Nation we can provide you with an ELD! No device fee, no monthly fee. Not ready for ELD? Not sure where to start? We will provide with training that is right for you. If you want to get an ELD at NO COST then do not wait! Call Agata @ (630) 473-3258, available Mon-Fri from 9am-4pm. Attn: All Owner Operators, our operations are expected to run with very little to no interruptions. If for any reason you can’t reach our Tampa office please contact our Bridgeview office @ 630-568-5911 ext: 302 for safety, ext: 308 for dispatch, ext: 303 for accounting. All load info, schedules, and operations info will be forwarded to our emergency response team there. All owner-operators please stay safe and remember that no load is more important than you and people around you. If you are home in hurricane affected area please be safe and secure your equipment. Keep the gaps between parked trucks as little as you can, also check flood zone map for your area. This info is available on your county website. Please report your post-hurricane status to safety as soon as you can. Any questions or concerns? Please don’t hesitate to call us at any time. Attn Owner Operators. 2290 due date is August 31. Don’t miss it to avoid IRS fines and fees. The fee for 80,000 Lbs vehicle is $550. Anyone flying Voyager’s flag need help with filing or more info call 630-568-5911 ext: 301. The best way to file your 2290 is through us, you can do so by following this link. Its fast, its easy, simplified. Attn to all Owner Operators using Voyager’s plates, please update your I-pass accounts to match the plate number on your trucks. All toll violations will be charged immediately with all the applicable fees, no exceptions. All repeating violations will have an additional $100 fee per violation regardless of the reasons. There is a certain amount of violations the account can have before causing IRP suspensions. This policy is not to rip someone off but to protect our IRP account and our contractors from unnecessary problems caused by plate suspensions. Thank you for understanding. ELDs and pre 1999 trucks. We came across a few Owner-Operators who plan to purchase pre-1999 trucks to avoid ELDs. We support your way of life on the road, and not necessarily agree with an ELD mandate. Many shippers will require commercial vehicles to have electronic logging devices to load them. It will be harder to load trucks without ELDs way before the deadline. If you chose to do it still, please at least wait to see how it is after the mandate, and if it is the way you want to proceed, you got all our support. We just don’t want you to waste money on something you will not be able to use to its fullest potential, and be stuck with something that is impossible to sell. Attn: all drivers. 1st. Quarter, 2017 IFTA is due April 30th, 2017. All trucks running with Voyagers IFTA license will be processed as usual. All others, please do not forget the deadline to file. Any questions about IFTA, please call Safety 630-568-5911 ext 2. We invite all our owner operators to start using KeepTruckin app for hours of service logging. Just download an application on your cell phone and start using it, to ensure the easy transition to electronic logs. Please note that KeepTruckin app is not an ELD until actual ELD box connected to your trucks computer. Paper logs will be accepted from qualified drivers all the way until Dec. 17, 2017. Electronic logging devices ELD’s from KT are currently available and can be installed at our Chicago and Tampa locations. Please call Safety Dept. to schedule the installation. We highly recommend not to wait for the deadline but will be accepting paper logs from approved drivers until the deadline. All owner-operators renewing plates with Voyager, please make sure to receive a new registration before April 1st. 2017. Drivers who used company plates and decided to get your own, please return old plates with your paperwork and a copy of a new registration for your truck scheduled to send out April 3rd. 2017. Attention all drivers, please make sure you have current insurance in your truck folder. Old policy expired 3/4/2016. Contact safety department immediately if you don’t have a new certificate. Attention all Owner Operators renewing plates through Voyager Nation Inc. please submit your 2290 to safety department by no later than Feb. 19th 2016. Any IRP questions call (630) 568-5911 ext: 302 and talk to Agatha. If you plan on getting your own plates, please be advised to call Illinois IRP (217) 785-1800 as soon as possible to schedule your appointment. Do not wait until the last minute, do not get stuck with expired plates, last year some people who waited till the last days were not able to renew till end of April. Plan ahead. 2015, 4th Quarter IFTA is due by Jan 31, 2016. For Owner Operators using Voyager Nation’s IFTA everything will be processed as usual. Winter is here with all the snow, fun and major holidays. We sincerely hope you will enjoy all the nice things it has to offer. However it brings some of the worst driving conditions and hazards to all the vehicles on the road. Here at Voyager we value safety and well being of all our drivers, their families and all the public we share the roads with. There is no load more important than you, and everyone around you. 1. No load is more important than safety, no matter what. 2. Do not let anyone pressure you. Call our safety dept at 630-568-5911 ext 2 if anyone does. 5. Bridges and overpasses freeze before roadway. 6. Do not use cruise control if slippery. 7. Do not risk. Even if everyone else is still going. 8. If not 100% safe, just park and wait. 9. Communicate any delays with your dispatcher. 10. Any delivery can be rescheduled, peoples lives cannot. October 18-24 the CVSA will hold its annual Operation Safe Driver Week. 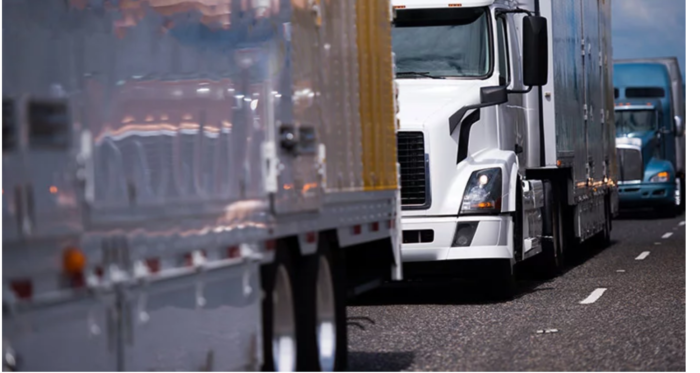 Law enforcement agencies across USA, Canada and Mexico will engage in heightened traffic safety enforcement aimed at unsafe driving by both commercial vehicle drivers and car drivers. The most common citations and warnings issued to truck drivers during last years operation BLITZ were failure to use a seatbelt, speeding, failure to obey traffic control devices, improper lane change and following too closely. Remember- a warning is just as bad as a ticket. And of course keep your logbook current at all times! Heavy Highway Vehicle Use Tax Return (2290) is due by Aug 31, 2015. If you need help filing, please contact our accounting @ ext: 303 or 304. 2014 4th Quarter IFTA due date is January 31st 2015. For Owner Operators using Voyager Nation’s IFTA everything will be processed as usual. For Owner Operators using their own IFTA in need of help to file, please contact Accounting @ (630) 568-5911 Ext: 304. Age of trailer. Some shippers will not load a trailer older than 10 years old. It’s this time of the year again! Watch for deer on the roads. (Critical for October and November) Repairs after hitting a deer averages $10000.00 or even more in most cases. Stay safe out there. 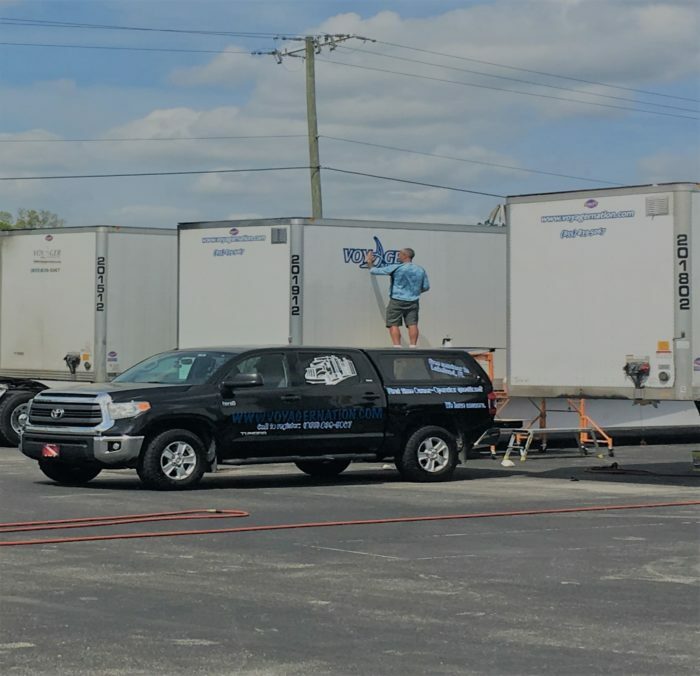 Voyager Nation Inc. just made a deal with a trailer repair shop in Atlanta, GA area, if you experience any problems or need maintenance on the trailer on your way to or through Atlanta, GA please call Agata @ (630) 568-5911 Ext: 302. Commercial Vehicle Safety Alliance sponsored event will take place between October 19th and October 25th. During this week we will see a dramatic increase in police presence on highways as law enforcement agencies nationwide take to the roads to engage in safety enforcement. Officials will be focusing on traffic enforcement, roadside inspections and seatbelt violations.